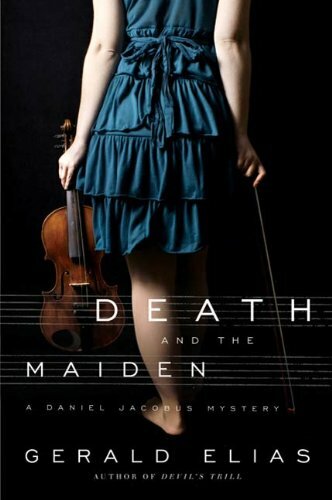 "As the New Magini String Quartet prepares for a performance of Schubert's masterpiece, "Death and the Maiden," which it hopes will resuscitate its faltering career, someone starts picking off members of the string quartet a la Agatha Christie's And Then There Were None. Dogged by internal dissension and by a potentially devastating lawsuit from its fired second violinist, the famed New Magini String Quartet is on the brink of professional and personal collapse. The quartet pins its hopes on a multi-media Carnegie Hall performance of Franz Schubert’s masterpiece, “Death and the Maiden,” to resurrect its faltering fortunes. But as the fateful downbeat approaches, a la Agatha Christie, one by one the quartet’s musicians mysteriously vanish, including second violinist, Yumi Shinagawa, former student of renowned blind pedagogue and amateur sleuth, Daniel Jacobus.It is left up to the begrudging Jacobus, with his old friend, Nathaniel Williams, and a new member of the detective team, Trotsky the bulldog, to unravel the deadly puzzle. As usual, it ends up more than Jacobus bargained for." Hi Holly! I'm a new GFC follower(talinaperkins) and I really enjoyed reading over your blog. Thank you for taking the time to share it the book Death and The maiden...very interesting! !